Are you looking for a reliable plumbing, heating, and air conditioning company in Budd Lake, NJ? Rite Rate is a trusted plumbing, air conditioning, and heating company in Budd Lake, NJ! We focus on providing the best residential and commercial HVAC and plumbing services. This includes heating repair, new air conditioner installations, and unclogging drains. We take pride in our team of qualified contractors that guarantee 100% customer satisfaction. You can trust Rite Rate for all plumbing and HVAC repairs, replacements, and installations. Our heating company is available 24/7 in case you have an emergency with your hot water heater, furnace, or boiler. 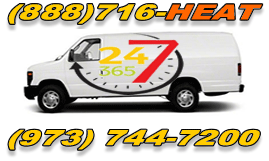 We’re on standby to provide you with 24-hour emergency heating repair in Budd Lake, NJ! Rite Rate contractors can fix, replace, or install any commercial or residential heater including oil, gas, electric, or steam heating systems. When you call us for an installation or replacement, we’ll help you choose the right one for your home or business. Don’t hesitate to call our heating company if you need anything from a tankless water heater installation or heating repair! Is your current air conditioner old and worn out? Do you need the AC replaced or a new central air conditioner installed? Let our air conditioning company in Budd Lake, NJ provide you with a solution! Rite Rate offers affordable air conditioner installations, emergency AC repair, and replacements. In addition, we also offer maintenance in which we make your air conditioner more efficient to help you save on utility costs. At Rite Rate, we service all makes and models of air conditioners including forced air, packaged air, heat pumps, central air conditioning, air handlers, and ductless air conditioning. For an air conditioning company you can rely on, contact Rite Rate! Whether it's residential or commercial plumbing, we’ve got you covered. At Rite Rate, we offer 24-hour plumbing repairs, plumbing installations, and plumbing replacements. Additionally, our plumbers also handle sewer and drain cleaning to clear your plumbing of debris. Our plumbers can effectively service any pipe, drain, sump pump, toilet, faucet, sink, bathtub, and shower. There’s no plumbing job too big or too small for our team of experts. Call us anytime 24/7 and we’ll be happy to assist you!